The neverending Edward Snowden saga is getting some new characters with a new Reuters report that tracks the origins of his secret document-stashing not to the NSA but to former employer Dell Computer. Wait, Dell? What do they have to do with spying? You'd be surprised. Unnamed United States officials and other anonymous sources told Reuters about the Dell connection. 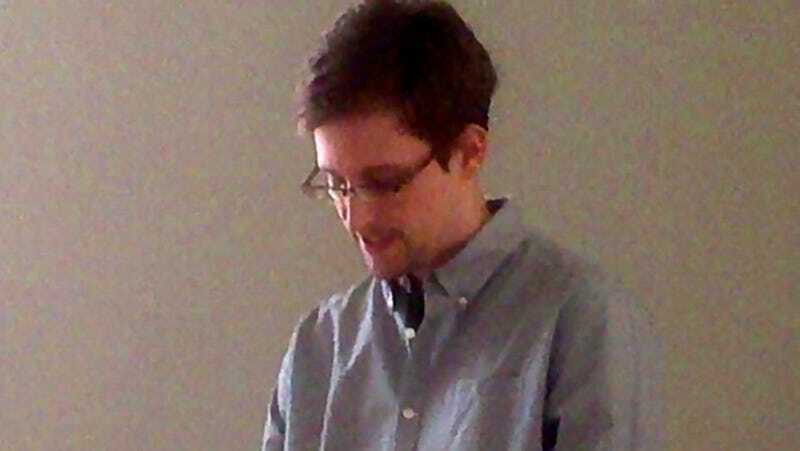 They say that Snowden started downloading information about the government's spy programs as early as April 2012, when he was working at Dell. It appears that the NSA was one of Dell's clients at the time, and Snowden managed to win access to documents about the NSA's collecting information from fiber-optic cables, including transoceanic cables. A Dell spokesman told Reuters, "We are honoring our customer's request that we not comment on this matter."